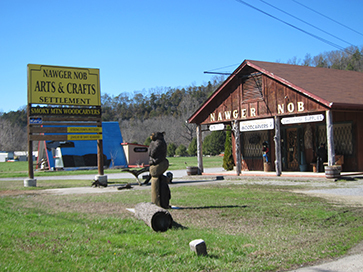 Traveling from Townsend to Pigeon Forge (only 18 miles), you will drive along Wears Valley Road where you will find lots of unique shops and antique stores. Belz Factory Outlet Mall - More than 450,000 sq. ft. of enclosed and strip shopping areas. Pigeon Forge. 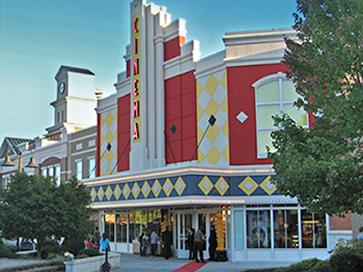 Tanger Outlet Mall (Pigeon Forge) - Over 27 name brand stores. 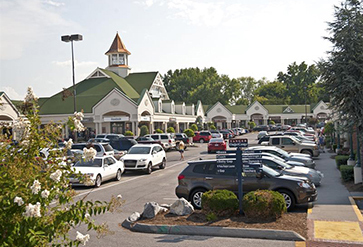 Five Oaks Tanger Outlet Mall (Sevierville) - Over 100 name brand stores. This is the most beautiful mall in the Smoky Mountains. Governor's Crossing - In Sevierville, just outside Pigeon Forge. Old Mill Square - Unique shops, including art galleries, pottery shop, candy store, moonshine stores, and other shops -- all located at The Old Mill in Pigeon Forge. The Old Mill, still functioning as it did when it was built in 1830, is o e of the most photographed mills in America and is listed on the National Register of Historic Places. 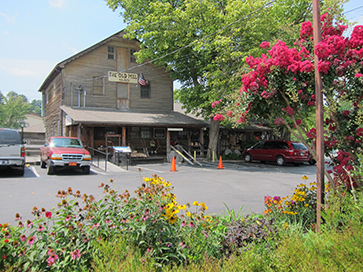 The Old Mill General Store, adjacent to the Mill, offers fresh-ground grains, flours, and pancake and specialty mixes. 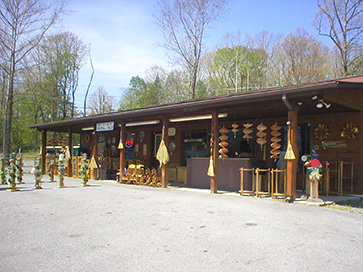 You'll also find homemade jams, jellies, dip mixes, and other popular products from our Old Mill Signature line of foods, as well as a unique selection of gifts, Smoky Mountain memorabilia, and craft items. 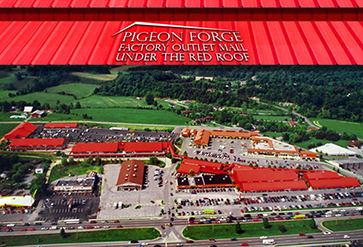 Pigeon Forge Factory Outlet Mall - Also known as the "Red Roof Mall"